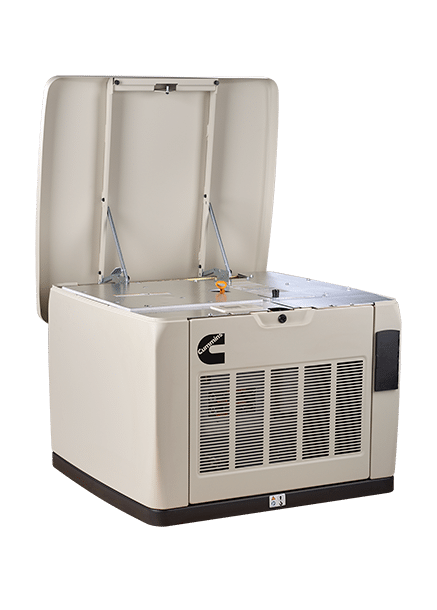 Cummins 20 kilowatt Quiet Connect Series Home Standby Generator. Automatic Transfer Switch for 24 / 7 independent operation. Remote Internet Access to the Quiet Connect Controller and Generator. User-Programmable Exercise including “Crank-Only” Mode. Intelligent Load Management for up to four loads such as Air Conditioners. Starts and runs a 5-ton A/C while accepting a full household load. Field Selectable for Natural Gas or Propane Fuel. Rated for installation as close as 18-inches to the home. Extremely Quiet Operation – 65 dB or less. Operates at 0 degrees out of the box. Cold weather kits add reliable operation for extreme climates. 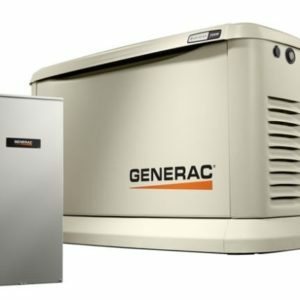 The RS20AC is a home standby generator permanently connected to your house by an automatic transfer switch – A045P697 Automatic Transfer Switch (ATS). 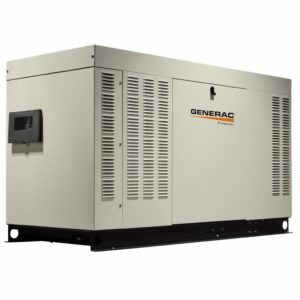 The generator operates on your homes existing natural gas (18kW) or LP Gas (20kW) supply. It monitors the power company distribution lines 24/7, then automatically starts and runs when it detects an outage and continues to run until the utility restores power. Includes: Automatic Transfer Switch A045P697 (ATS), Mounting Pad, Installation Harnesses, In Home Display/Remote Monitor. Remote internet access is fully functional and integrated into the generator controller. 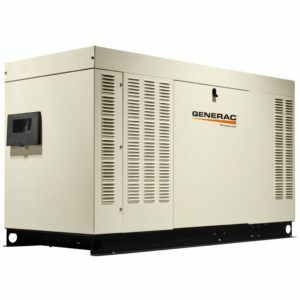 Access the generator controller on any smartphone, laptop, tablet, or desktop computer. Operate the generator manually, program the exercise cycle, view status and reports, or schedule maintenance. 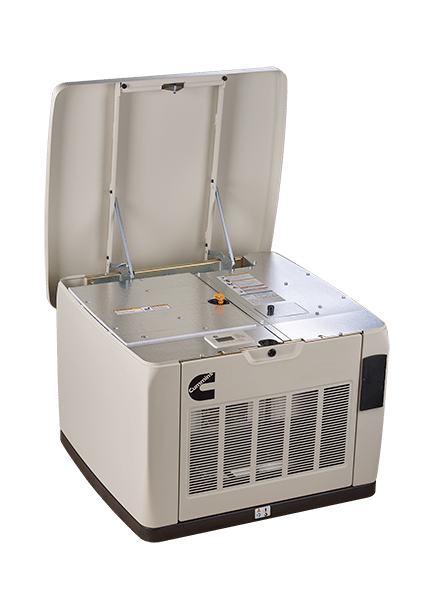 Most home standby generator manufacturers only offer internet access as an add-on feature, but it’s included in every Quiet Connect Generator shipped. The homeowner can choose the exercise cycle that fits their schedule and lifestyle. A Patented “Crank-Only” mode reduces wear and tear while saving fuel and reducing noise. The engine cranks without starting while the controller performs diagnostics. The generator gets the exercise it needs while the controller ensures that it operates correctly. Control up to four central air conditioners. 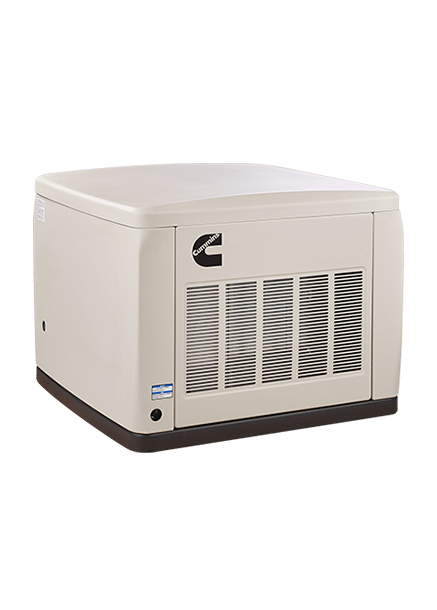 The generator controller can remember the load requirements of four different air conditioners and allow them to turn on and off when power is available. 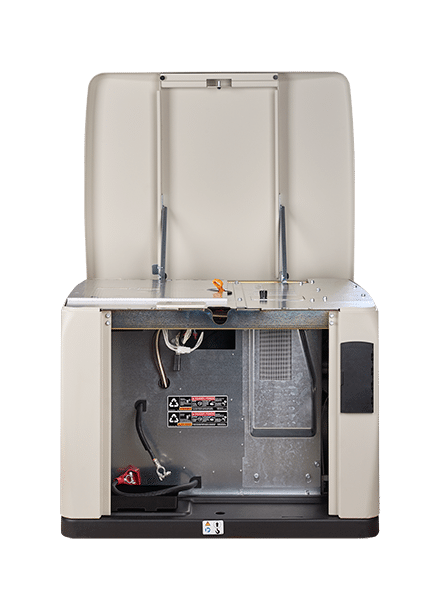 This prevents overloading and allows a smaller, more fuel-efficient generator to do the work of a larger unit. The A045P697 Automatic Transfer Switch (ATS) has a NEMA 3R rating for indoor and outdoor use that installs between the utility meter and a typical 200-amp main service panel. The generator controller monitors the utility supply 24 / 7 and automatically starts the generator the moment an outage is detected. After the generator starts, it signals the transfer switch to supply the home with power from the generator.